Dunking servers, fiddling with LED status lights, creating a 3D model of geographic usage—sounds like another day in the data center, right? Well, maybe. 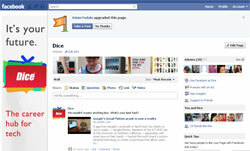 In any case, those were some of Facebook’s favorite engineering hacks for 2012. Twelve times a year, Facebook hosts hackathons in which it invites developers to hack away at new uses for Facebook data. They toil away all night, fueled by caffeine and snacks—and the promise that their hack, maybe, could turn into something that’ll land them a job with the social network. In addition, Facebook’s engineering team publishes accounts of several of its own hacks. Facebook isn’t the first company to engage in that sort of experiment. Earlier in 2012, Intel also tested dunking a server in mineral oil to see how it performed; that, too, proved a success. Like many data-center operators, engineers at Facebook receive emails when problems arise. But that wasn’t efficient enough; amidst the busyness of a typical day, emails sometimes slip through the proverbial cracks. So members of Facebook’s Site Integrity team used a hackathon to build an ambient display using the Arduino open source hardware platform; the display uses LEDs that glow different colors, depending on the health of services. Facebook likes to know its users’ locations. Nor is visualizing those locations in 2D enough for the company; members of the Timeline engineering team used Facebook’s new 3D printer to produce a touchable model of where its users live and work, using a geometric distribution. Engineer Paul Tarjan learned that people in the western part of Michigan’s upper peninsula tended to root for the Green Bay Packers instead of the Detroit Lions. This made him wonder whether this kind of thing happened in other parts of the country, so he worked with engineer Ryan Patterson at a hackathon to plot all the “Likes” of NFL teams on Facebook by county. Facebook’s blog also lists a couple of other hacks, such as a QR code that could be seen from space, chrome-less photo views, and an improved calendar.